A critical error with this kit, only comes with 8 road wheels and 16 brass stamped rings. When it should come with 10 road wheels and 20 brass stamped rings. SUCH A DISAPPOINTMENT. Thanks Dragon!!! M.Julian Marles Anyone know then, if kit #6218 also suffers from this shortage? 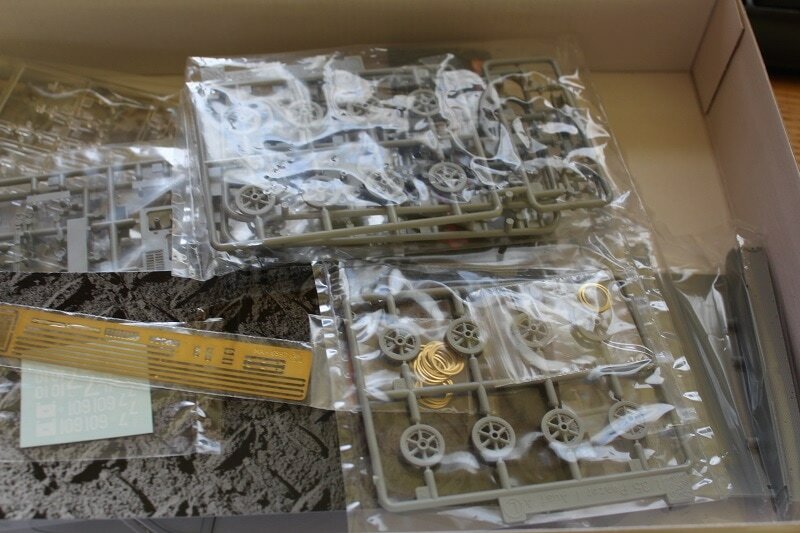 I don't know the exact differences between the two but I did find a reference to the J-sprue having been deleted from the updated 2005 version. That means you can't build the flat topped version anymore (the one without the extra turret built on top). So unfortunately, as per usual with Dragon's strategy of updating kits and in no way marking them to be recognised as one or the other, it's down to luck and/or whether your reseller has old or new stock determining which version you will get if you buy it. There's no way of telling which one it is until you actually open the box. Apart from that I´m 90% shure both kits are identical. So you can build the version without the cuppola. If anyone needs to be 100% shure I can dig out the instuctions for 6218 (new). John Van Kooten Fabian, I personally think they do not have a QC department. Way too much errors in their production line. I think with at least 30% of the Dragon kits I have (420 at the moment of this writing) something is wrong / missing / defective / flattened / broken / lost / no longer included / etc. ... And that is not an exxageration! Anyway, thanks for clearing up the unknowns with this kit! M.Julian Marles Yep..thanks for the info..much appreciated! Joerg R. added the Dragon Pz.Bef.Wg.1 (1:35) to his stash. Just to make you aware of it in case you had not noticed (although you probably already know): this kit has 8 road wheels on the sprues instead of the 10 you need. It was a mistake on Dragon's part. Anyone that bought this kit can (and should) contact Dragon Care or their local representative and request the two road wheels to be send to them. Joerg R. Thank you John, I know this fact.